The National Association of Elementary School Principals has partnered with Crayola for this year's Champion Creatively Alive Children grant program, which will award prizes to every applicant who meets the early bird deadline, plus cash and product prizes totaling $3,500 to up to 20 applicants. The grant program is designed "for innovative, creative leadership team building within elementary/middle schools" with an aim toward enriching "the creative capabilities and confidence within the school community." Up to 20 cash and product prizes will be awarded to teams whose proposals best "identify and deliver innovative programs that inspire educators to increase art-infused education." The prizes include $2,500 in cash to fund professional development plus a large assortment of Crayola products valued at $1,000 to $1,500 (pictured below). The grant program is open now through June 23 to schools in the United States or Canada whose principals are members of NAESP and intend to renew their membership for the 2017–2018 school year. The early bird deadline for the Crayola ClassPacks is June 5. Winners will be selected in October, with prizes arriving by November. Complete details can be found at crayola.com. The deadline for two major federal grants is upon us. The "intent to apply" letter for the $15 million Magnet Schools Assistance Program Competition grant program is today, Jan. 9. (The letter is optional but recommended.) The final deadline for the full application is April 11. Up to 30 awards of up to $15 million apiece are expected to be granted. In just four days (Jan. 13), the "intent to apply" letter for the federal Opening Doors, Expanding Opportunities grant program will be due. All districts that have at least on school eligible for School Improvement Grants are eligible to apply for Opening Doors, Expanding Opportunities. Up to 20 grants of up to $1.5 million apiece will be awarded. The "intent to apply" letter is optional but recommended. The deadline for applications is Feb. 13. 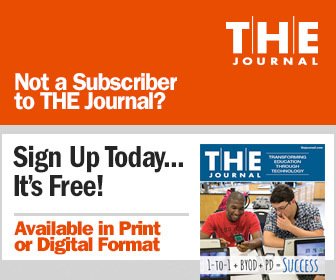 More details on both federal grants can be found at thejournal.com.